Castle Vardulon: It's a very WishMaster Christmas! We're doing something a little different this time around: Including show notes - more specifically, show notes that reveal which of the hosts, DiveMistress or Count Vardulon, was right concerning the things they argued about. 1 - The ethnicity of Andrew Divoff: They were both right! According to the IMDB, he's half Russian and half Venezuelan! He's also fluent in nine languages, which makes both hosts feel bad about themselves. 2 - The multi-racial nature of the kids on the He-Man Christmas Special: The Count was all backwards about this one - his confusion was not caused by the buy being of a visibly different race, but rather the fact that the clearly white kid was named 'Miguel'. 3 - The children tell Orko about the miracle birth of Christ: Vardulon's dead-on about this one, it happens at 3 Minutes and 33 Seconds into 'Part 2.' Also, Skeletor's heart is softened by the plight of the puppy at 7 minutes and 20 seconds into 'Part 4'. 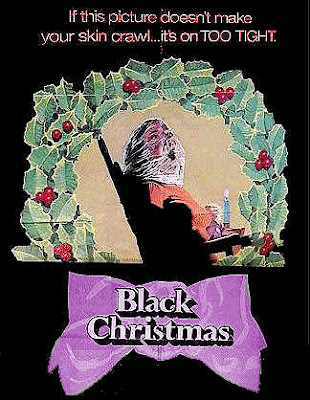 5 - Bob Clark directed Black Christmas. 6 - Which Jack Frost came out first? Divemistress was correct, the horror movie came out two years before the family movie. Vardulon was confused because the video of horror Jack Frost only made it to his local blackbuster in '98 because they were trying to capitalize on the popularity of the other Jack Frost. 7 - Did Karloff narrate the Grinch? Of course he did. And Vardulon feels pretty silly for ever doubting that fact. Thurl Ravenscroft sang the songs, and Cindy Lou Who was June Foray, the voice of Rocket J. Squirrel. 8 - Is it better to take the Grinch or a Sea-Sick Crocofile? The correct answer is the Grinch. 9 - Was there anything more Christmas-y than Die Hard? No. 10 - Were any of the events of the film 'Christmas Evil' that Vardulon described accurate? Uncertain at this time. Ask again later.